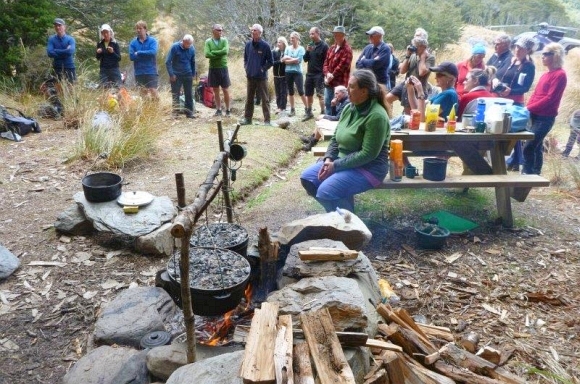 By John Taylor, Services Ranger, Takaka. It was the last survivor of a once thriving population—this, however, was not an endangered critter, but an unassuming pole and canvas refuge in the Cobb Valley. Tent camps were introduced in the 1930s by the Department of Internal Affairs to provide shelter for deer cullers. 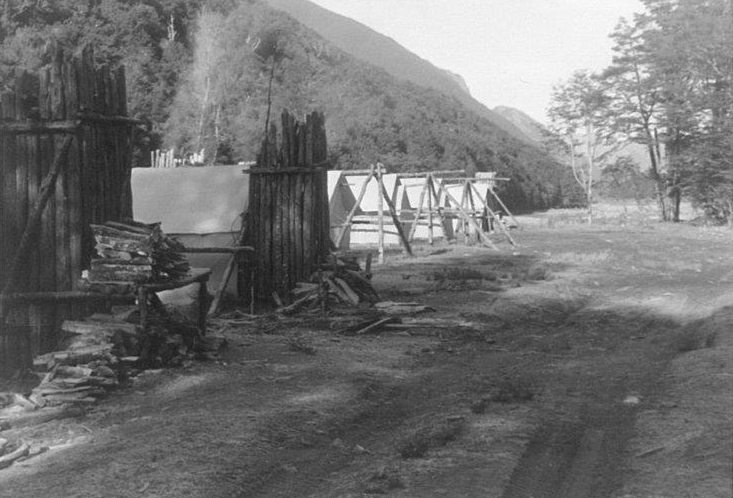 During the 1960s the New Zealand Fire Service operated a hunter training camp at Dip Flat and 500 men went through the gruelling programme under the watchful eye of Harry Ferris. After a few days they were put into tent camps, where they had to dismantle and rebuild them. 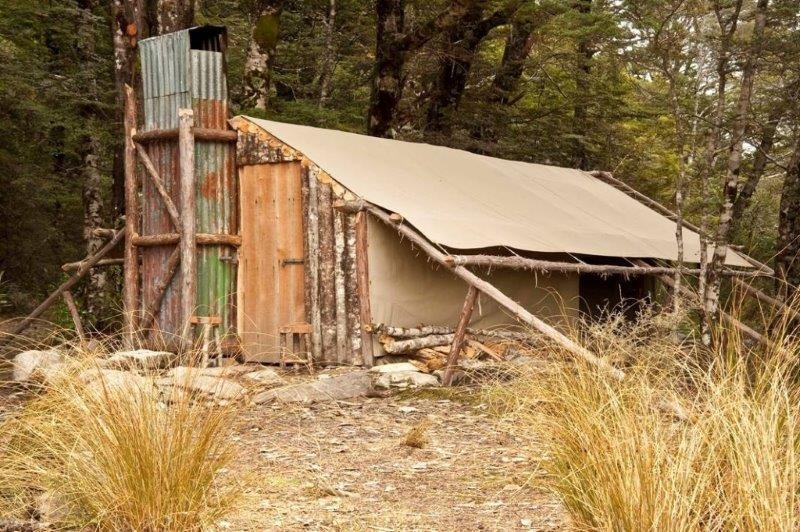 During these years, hundreds of tent camps were constructed in the backcountry, and many cullers, hunters, track cutters and trampers developed an affection for living in them. As hut and helicopter numbers expanded, tent camps gradually disappeared. In some places, however, they persisted—particularly in the Ruahine Range, where several existed into the 1980s. But by the mid-2000s the Cobb tent camp was the last one still functioning. When we found that this camp was true to the old prescriptions, and was the the last one left, we knew some action was required. We put the word out for help to restore the camp and had a huge number of offers of assistance. The project had struck a chord with a lot of people. The upholstery businesses was particularly supportive and the canvas used in the restoration did not cost us a cent! The restoration had to be historically accurate to truly reflect what these camps were once like. Materials were sourced from nearby—beech and manuka poles for the superstructure, cedar for the fireplace, while the bench, stools and platforms are fashioned from red beech with axe and adze. 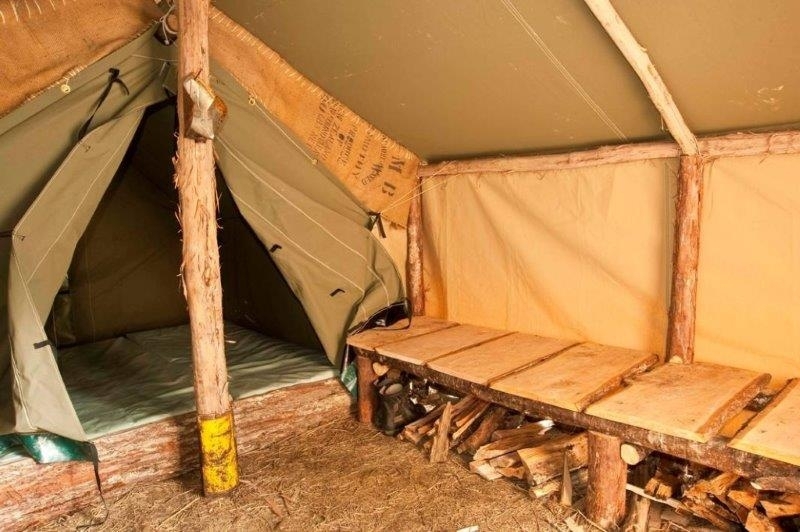 The restoration of the tent camp is one of the most important efforts by DOC in recent times to preserve the heritage of the deer culling era. Been past it several times in the distant past on various expeditions in the Tablelands area. Didn’t realize its special significance and am delighted to learn that it is restored. 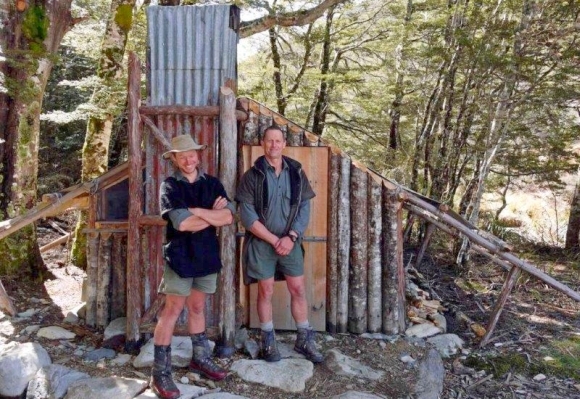 Wow that is fantastic – great piece of NZ history and awesome job with the restoration guys. Can’t wait to go visit myself one day. Thanks Jan/Stephen/coastingnz! Hope you do get there one day.